With my days of measuring garbage behind me, I can finally get back to the S’s. 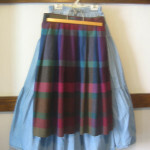 I found one more skirt that I missed several weeks ago and am totally willing to give it away now. It did look rather lonely, however, and produced only a rather drab photo to simply give away one powder blue skirt. I decided to scout my closet for a companion since I still had 17 skirts. (Oh dear, even mentioning that many in my blog feels like a guilty confession.) It was hard. Most of the skirts I wear at least several times a year. I did find one skirt that I like and fits, but I probably haven’t worn in 10 years. This brought on even more guilt. I decided to let it go. I may wear it one more time just as a way to say goodbye. Now that I’m on my second round of give-aways, noting what I didn’t give away the first time (and reading about people who prune their wardrobe to 33 items – not counting underwear), I realize that I still have room for improvement. It’s humbling to think that I had 17 skirts and probably only wear about 10 often. Still, I am reluctant to give all the surplus away at once. Sometimes I think we have to do this in stages but keep moving in the right direction of keeping less. I keep reminding myself that there are people in my community who need decent work wardrobes now and don’t have the luxury of 17 skirts to choose from. Working at home should keep my career clothes wardrobe at a minimum, but it’s harder than I expected to let go. How many skirts or slacks do you think a conscientious down-sizer should have? How many do you have? #1 | Written by Lena about 3 years ago. 1 black for dressing up. 3 summer skirts with flowers. 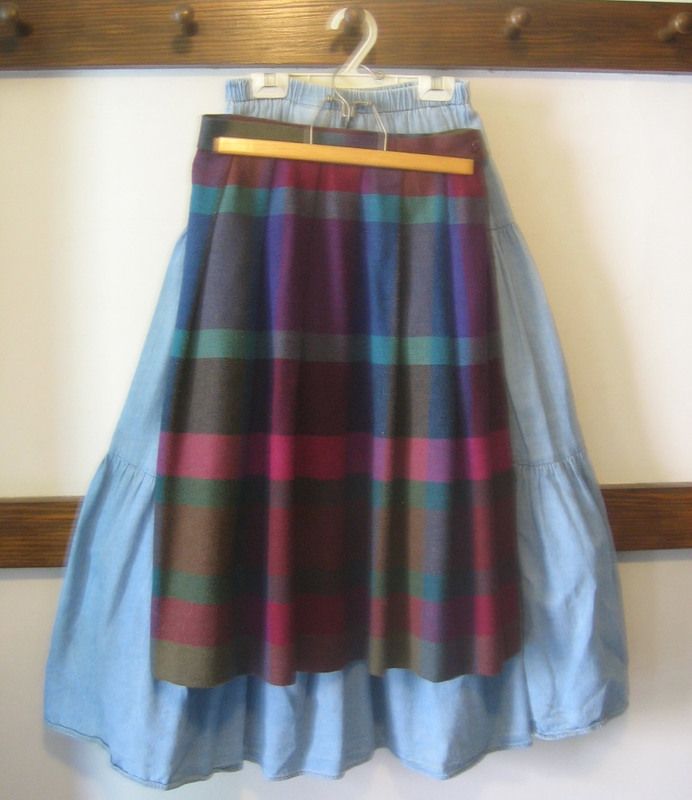 I might get rid of 2 of the summer skirts.